Venoflex delivers good quality “fit-for-use” products for a raisonable price. We personally select our partners based on our quality standards. All of our partners are ISO certified. 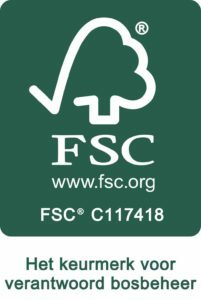 We too are FSC certified and in 2019 we also have the ISO- and BRC quality mark, which we are very proud of. Venoflex keeps many of our products in stock for you. That’s why our deliverytime is very short. You will never be out of material. We also offer the possibility to supply “cut-to-fit” materials if the standard sizes are not suitabele for your purposes. You can count on an excellent service at Venoflex. Besides supplying a good quality product and a fast delivery, we are ready to answer your questions per telephone or E-mail. Venoflex is a supplier of a wide range of high quality (plastic) films. The company office is located in Hoogerheide, the Netherlands. We have our stock located in Roosendaal, from where our products are distributed to our customers troughout Europe. Our main products are polyester (BOPET), polypropylene (BOPP) and nylon (BOPA) films and metallized and holographic paper. We only supply premium products which are designed and manufactured to the highest standards. For our BOPET and BOPP films and our metallized paper we work exclusively with Vacmet India Ltd. Thanks to our experience and know-how we are able to help our customers with their individual needs. Our goal is to offer a wide range of plastic films with the best personal service possible. If you are interested in our products or if you have any question, please do not hesitate to contact us. We are glad to help you!